From what you already know about Britain’s climate you should be able to take a guess at what it is like on the Isles of Scilly. Read on and see if you are right. 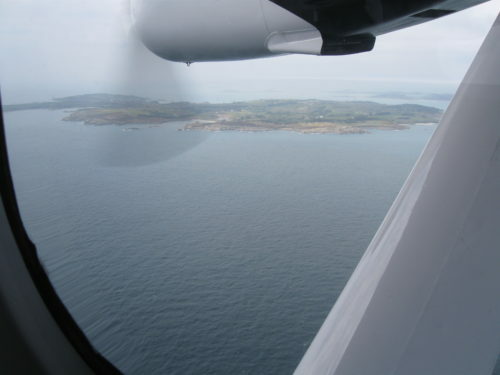 Located off the south-west tip of Cornwall, the Scilly Isles are as far south as Blog About Britain is going to go. They are also sitting out on the edge of the Atlantic Ocean. This means that the wind is usually pretty moist, due to blowing in across the sea. Fortunately, the islands are low-lying, so much of the cloud blows straight across, keeping the rainfall total to a modest 880mm. This is plenty for plants, particularly as the rain is spread evenly through the year, falling on over 15 days in every month. 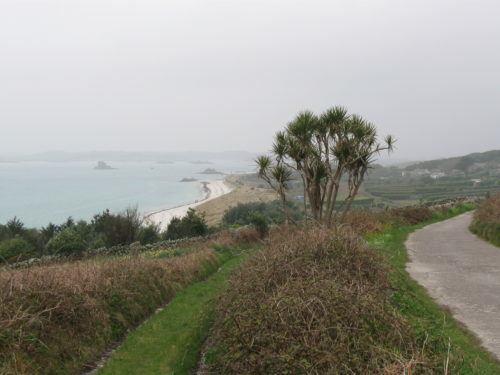 Sea temperatures around the Isles of Scilly range from 10°C in winter to 16°C in summer and, as you are never too far from the sea on these tiny islands, this has a big effect on the temperature inland. 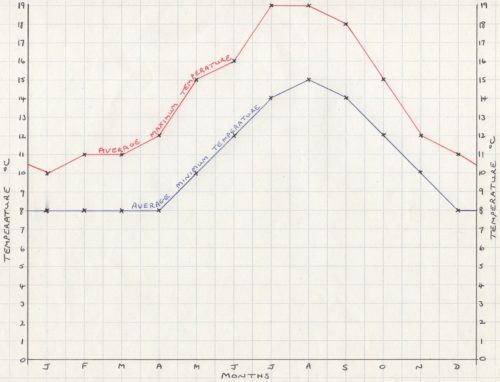 As you can see from the graph, the maximum temperature in the summer is 19°C – warm enough, but perhaps colder than you were expecting for somewhere so far south. However, it is the winter temperature that is perhaps the most interesting. 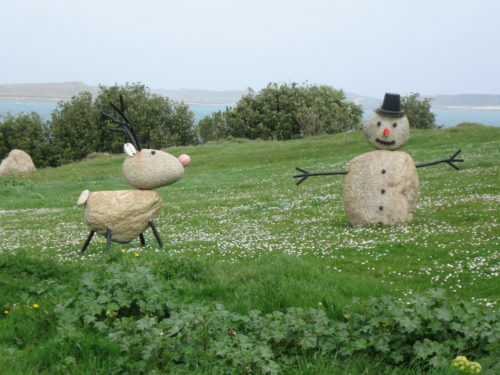 Snow on Scilly is extremely rare with an average of 8°C throughout the winter months. As there is rarely even a frost, plants are able to keep growing. 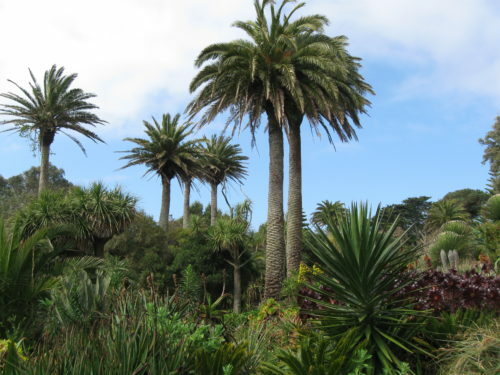 The gardens at Tresco Abbey contain a collection of sub-tropical plants from places such as the Mediterranean, Australia, South Africa, the Canary Islands, South America, California and Mexico. 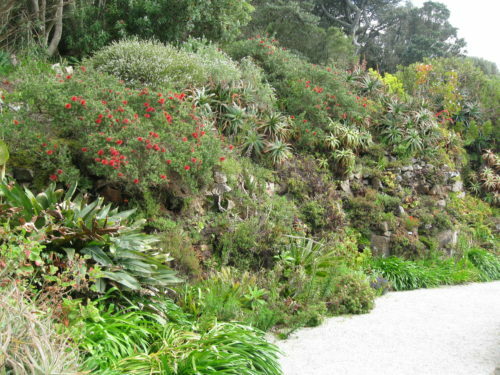 Some of the species have spread beyond the gardens. The mild, wet environment is also great for farming. I’ll tell you about that next week.